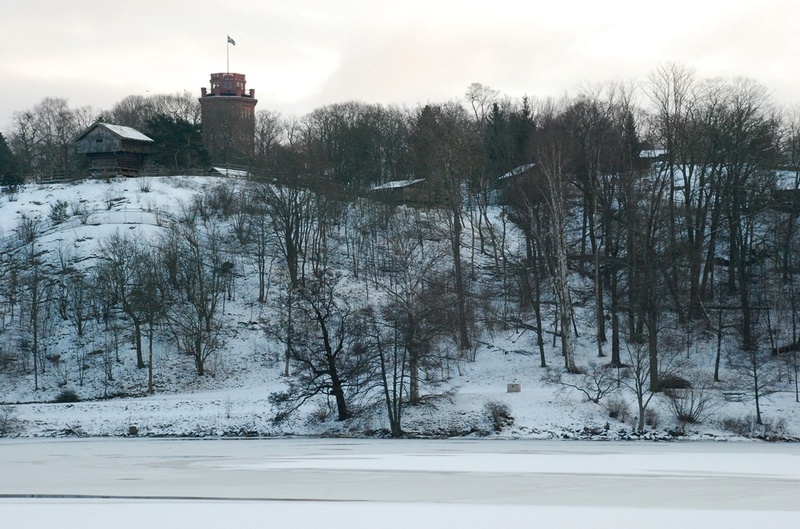 The Sirishof ski jumping hill was the first ski jump of Djurgårdens IF, which was founded in 1891 - and is still well known today for its hockey and football teams. 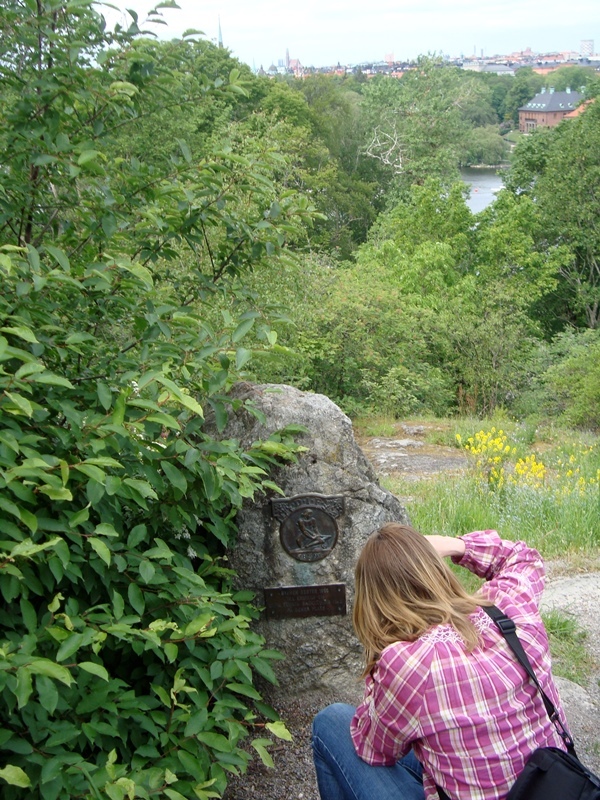 The hill was situated on the northern slope of what is today ”Skansen” open air museum. The first competition was held on February 28, 1892. 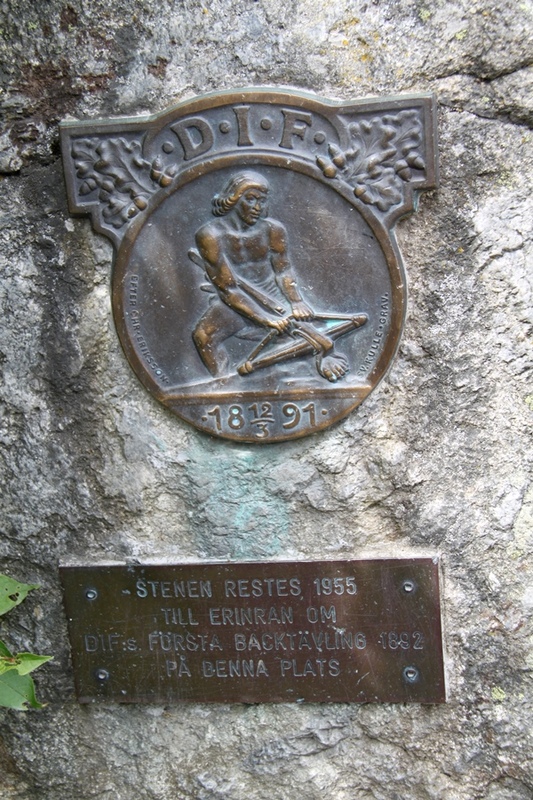 Among others, 23 Norwegian ski jumpers participated, who came over from Kristiana (now Oslo), directly after the first Holmenkollen race. 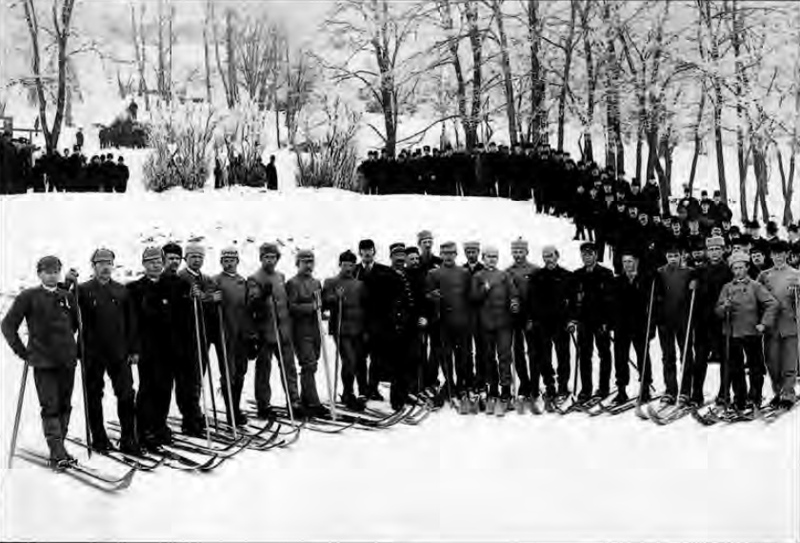 Skiing activities had been introduced to Stockholm by Norwegian soldiers - both countries had been in a union during that period. 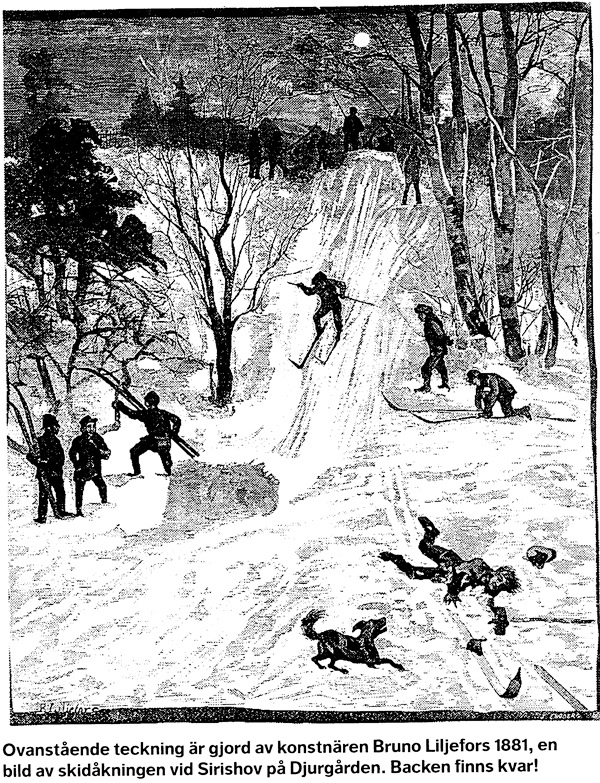 Ski jumpers raced with an without sticks and there was also a military category, in which a special hill with several steps was used. The winner of the ski jumping competition had a total distance of 42.5 meters after three jumps. 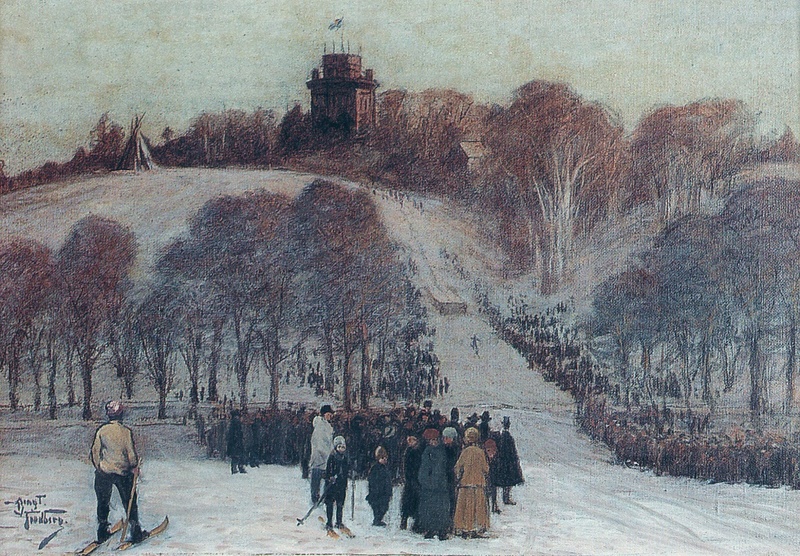 Furthermore, there was also a cross-country race over 30 km, which partially lead over the frozen sea.